Acid reflux or GERD (gastroesophageal reflux disease), which is a more scientific way to describe heartburn, affects 50 percent of Americans. Although used interchangeably, there is a difference between heartburn and acid reflux. Acid reflux occurs when stomach acid regurgitates up into the esophagus. Reflux is the cause of heartburn. However, some people have Acid Reflux without heartburn. Just like other health conditions, there is not one specific cause of Acid Reflux and Heartburn. 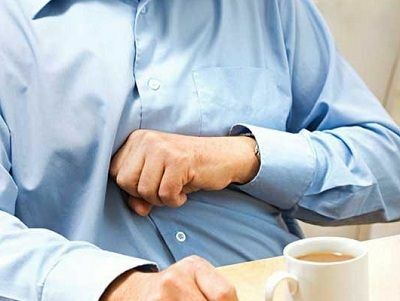 However, a malfunction of a band of muscle tissue called the Lower Esophageal Sphincter (LES) can ultimately lead to many of the problems and symptoms associated with Acid Reflux and Heartburn. Mix a teaspoon of baking soda into 8 ounces of warm water and drink the beverage slowly — not tasty but effective. A mixture of baking soda and water can be used to neutralize stomach acids when acid indigestion is a concern. But avoid making baking soda your go to remedy if you regularly have heartburn — it is high in salt and could cause side effects like swelling and nausea. More about Baking soda. Aloe vera is famous as a natural healing agent and also seems to treat acid reflux. Quantities 1 to 3 times per day, or 20 minutes before each meal to help treat acid reflux, as well as prevent future problems you may have with acid reflux. Slippery Elm is one of the most effective natural remedies for acid reflux and heartburn at night. The inner bark contains mucilage, a gel-like substance that swells when it is mixed with water. The mucilage is thought to coat the esophagus and reduce irritation. Slippery elm also contains a high amount of antioxidants and it is thought that those antioxidants may also offer some protection to the digestive tract. Slippery elm is often the primary ingredient in herbal sore throat lozenges found in health food stores or in the natural food section of some grocery stores and drug stores. Study shows that water may be more effective than acid-inhibiting drugs in its effect on gastric pH. Water increased gastric pH by more than 4 after just one minute. In contrast, antacid took two minutes, and most of the other drugs took more than two hours. So, following you finish a meal, drink two glasses of water and plenty of water in between the meals as well. Vinegars of all kinds—particularly Apple Cider Vinegar—are often suggested as home remedies for GERD. When stomach PH isn’t low enough, pathogens may grow around the sphincter found at the top of the stomach and paralyze the muscle, allowing food to be regurgitated – i.e. acid reflex / GERD. If the problem is indeed a lack of acid, then all the above methods, which reduce acid, will never get to the root of the problem, at most they’ll provide temporary relief. Apple cider vinegar and other highly acidic foods work well to help stimulate acid produced to adequately digest the food eaten.